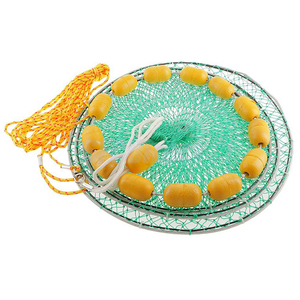 It can be used to catch fish, shrimp,crab, lobster . 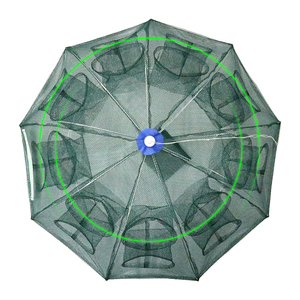 We can make you different shapes of polyethylene net trap for crab /shrimp /lobster,or nylon net trap ,polyester net trap ect. such as circle shape;long train shape,rectabgle shape, squre shape , cylinder-shaped or as your request. With many years' unremitting efforts, we are one of the leading enterprises in this field now. Most of our products are mainly exported to more than 10 foreign countries and regions. We keep "high-quality products, excellent service and reasonable price" in mind , a long with providing the preeminent products and efficient service for customers. Best corporation ltd We are sincere rope twine manufactor : Material :we are producing high quality rope from new material . 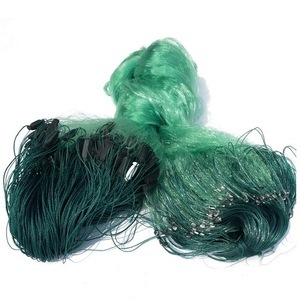 Exw price :we are old industry and trade integration supplier , we can supply the best Exw price . Honestly hope every client will feel satisfied with our quality products and good service. Our products are mainly sold to southeast Asia and central Asia, eastern Europe, South America. The products of our company win the support of general customers and terminal customers, enjoy high reputation worldwide. 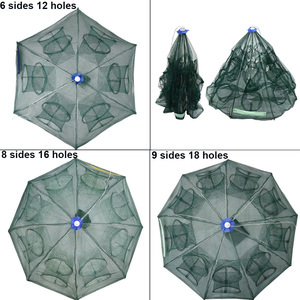 Related Products Our Advantages * One of the biggest manufacturer and exporter of fishing net in Anhui Province. 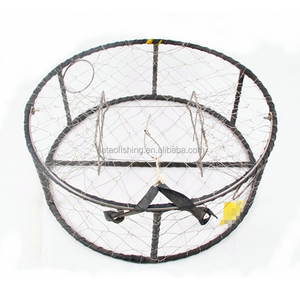 Qingdao Kinley Mach-Tech Co., Ltd.
Alibaba.com offers 4,033 fishing crab products. About 33% of these are aquaculture traps, 10% are fishing lures, and 1% are crab. A wide variety of fishing crab options are available to you, such as fish, crab, and shrimp. You can also choose from free samples, paid samples. There are 4,014 fishing crab suppliers, mainly located in Asia. The top supplying countries are China (Mainland), Japan, and United Arab Emirates, which supply 97%, 1%, and 1% of fishing crab respectively. Fishing crab products are most popular in North America, Oceania, and Northern Europe. You can ensure product safety by selecting from certified suppliers, including 480 with ISO9001, 155 with Other, and 121 with ISO14001 certification.